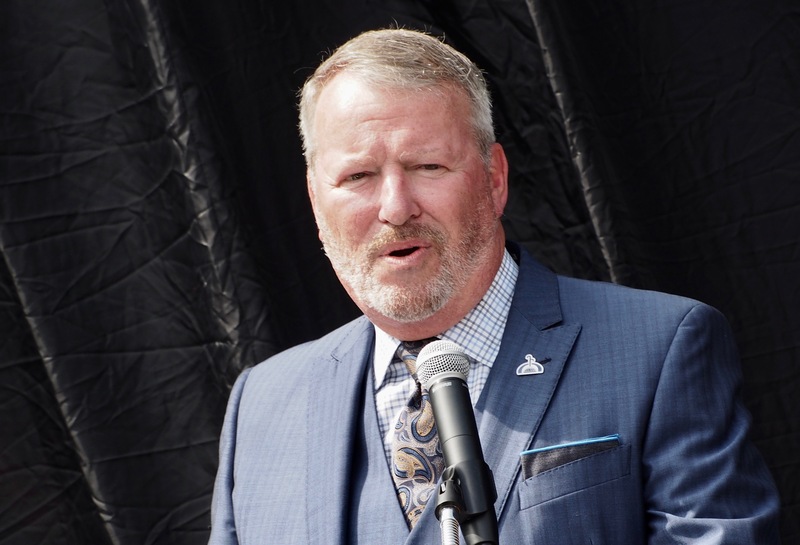 Orlando Mayor Buddy Dyer has received the endorsements of the local Fraternal Order of Police’ and Laborers’ International unions’ locals in his bid for re-election to a fifth full term. On Friday his campaign announced endorsements from the Fraternal Order of Police Lodge 25, which represents Orlando police officers, and the Laborers’ International Union of North America’s Local 630, which represents a wide range of workers from sanitation specialists to IT technicians and accountants. Dyer is facing City Commissioner Sam Ings and three other candidates, including non-profit executive Aretha Simons, heading toward the November election. All three are Democrats, though the race and office are officially non-partisan. Earlier this week Ing got the endorsement of longtime Dyer power rival, Orange County School Board President and former Orange County Mayor Teresa Jacobs.